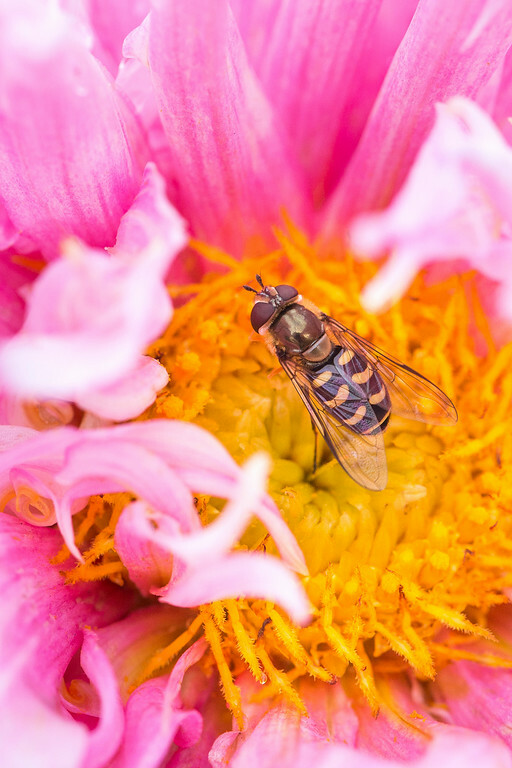 Hoverflies are thought to be the second most important pollinators, surpassed only by bees. As larva some eat aphids and other parasitic insects making them an even more important part of the ecosystem. They mimic the appearance of bees, and in some cases wasps, to fool potential predators into looking for an easier meal. Such ingenious little animals.